An app developer who fulfills all coding criterions & learns from experiences while working as a team will be an apt addition to your business. 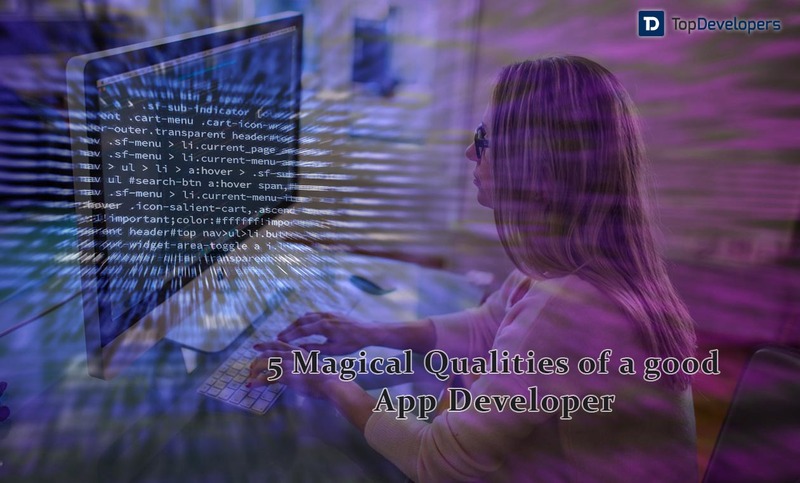 5 magical qualities of a good App Developer! A developer is an artist in their own way! They have to be creative, logical, rhetoric and witty in writing the codes. Though they cannot play with words like a poet, instead they play with codes that bring in amazing experience to the users. They sometimes play a sculptor who sculpts the apps with the right codes to get the desired and expected end result. They have to choose the right code and apply intuitive ideas to perfect their work, just like an artist who chooses the right color, effect and definition for his work. So, a mobile app developer is, in fact, a technical artist who writes, paints, and emotes through codes, which is also the mode of communication, and in the end caters an attractive and legible app screens for all set of audience based on the language, culture and race. Now, finding your right candidate who will don different roles of artistry and improve your business is indeed something that needs to be done with caution. Well! There are a few aspects that can point who can be your best app developer. The leading mobile app development companies today will have ample of knowledge and experience of looking for the best app developer differentiating the good from the best and then provide ample of opportunities to learn and grow further. Let’s now get to know how to choose that multifaceted and highly creative app developer for your business. A mobile app developer has to deal with many errors, critical coding and complexities in unraveling solutions. Hence, it is important that the person can think creatively and has logic and apt reasoning in processing their thoughts. These qualities can be identified through a simple aptitude test with logical questions and scenarios that can make you understand their potentiality. Give the candidate a program that has a simple solution but needs complex thinking to solve it. See how logically the person breaks it to find the solution. Logical thinking is an important quality for a developer. Apart from testing the interviewee just technically, let him take an aptitude test too that is where his real logical thinking capability can be inferred. Since there are many programming languages evolving and many are getting outdated at the same time, your developer has to be a good learner and an intelligent personality, who can learn things quickly and can execute it well in writing programs error free, quick and tactfully. This can be tested by discussing the recently popular coding languages. If the developer is proficient in older languages and if he eagerly gets involved in the discussion to gain some knowledge about the new coding language, he should be a good learner. When you discuss the languages, put him a question about his ideas and interest in updating his knowledge base to adjust with the tech trends. A programmer’s curiosity in learning and updating his knowledge is necessary to shine in the field and the developer should have that curiosity. So, interest in learning will go a long way to help decide a suitable candidate. Communication skill is another foremost aspect that a good programmer should possess. We are not interviewing a proof reader or an orator either. We are here to choose an efficient developer. So it is not about testing their vocabulary or their style of writing. Shoot some questions other than coding and check their communication skill. Read how good they are in understanding your question and conveying their ideas clearly and thoughtfully. It’s not about checking their fluency in any particular language, but to know how clear they are in putting across their ideas in the language they are comfortable with and how well he/she frames the lines to make it easily understandable. If a person could convey his thoughts clearly using right words without stumbling, this means he can bring his thoughts into a formation legible for others to understand the exact intentions. A person with good communication skill should be your choice because they are highly capable of delivering the supposed result. An efficient programmer will be passionate about what he/she is doing. Let the developer talk about their future goals, where you will come to know how keen he/she is in writing codes for years. A passionate person will love to improve the skills and believes in growth in the same field. Choose the one who is highly skillful in applying syntax, mathematical calculations and formulas. These skills are the notions that he can come up with a resourceful solution at critical times. When a person is adept at applying formulas sensibly to solve complex problems, he/she will be capable in writing complex codes in a shorter time span. This person will definitely be helpful for you to the growth. Yes! Choose a person with good experience in the field of development you are involved in. Instead of just choosing an experienced developer with just one type, try to find a developer who had dealt with your sort of development process and across businesses. This will save a lot of time and enable to switch to the new work smoothly. A highly experienced person or an energetic learner should be your choice. You have to look for someone with a convincible work experience and notable technical experience. Being associated with an experienced programmer will save time and you can stay trouble free, as he/she will know how to handle the crisis. 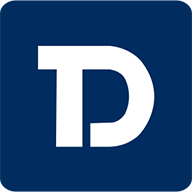 The ever changing development preferences have automatically raised the demand for skilled app developers. A candidate who is a perfect combination of all the above-mentioned aspects will be an important gem for your business. When you are keenly looking for talent to join your team, it will be like finding an oyster with the precious pearl; what you were looking for may get tougher these days but a curious learner and a highly adaptable personality with a better programming knowledge will fulfill all your expectations readily. A seasoned developer is one who passes through such phases and is in the process of continuous learning, so to have one for your company you should be ready to provide an opportunity to the capable ones. Don’t forget to be ready with a good remuneration, that’s something through which a developer feels that their skills are appreciated.